Covering a versatile range of telephoto focal lengths, the AF-S NIKKOR 70-200mm f/4G ED VR from Nikon is a nimble solution for photographing a range of subjects, from portraits to sports. Its constant f/4 maximum aperture maintains a consistent exposure throughout the zoom range and also helps to realize a more compact and lightweight alternative to an f/2.8 zoom. The optical design employs a trio of extra-low dispersion glass elements to reduce color fringing and chromatic aberrations and both a Nano Crystal Coat and Super Integrated Coating help to suppress flare and ghosting. In addition to the optical advancements, this lens is also distinguished by its VR image stabilization system, which compensates for up to four stops of camera shake for sharper handheld shooting. Also, a Silent Wave Motor is used to provide fast and precise autofocus performance, along with full-time manual focus override. Telephoto zoom is designed for FX-format F-mount cameras, however can also be used with DX models where it will provide a 105-300mm equivalent focal length range. Box Dimensions (LxWxH) 11.4 x 5.2 x 5.0"
AF-S NIKKOR 70-200mm f/4G ED VR Lens is rated 4.8 out of 5 by 190. Rated 5 out of 5 by RRM998 from Excellent medium telephone lens I pre-ordered this lens. I had been considering a jump from Canon to Nikon and this lens was the thing that held me back. Once it was announced I decided to make the switch. I've been shooting the lens with a D800 with Fine/Large JPG. Pros: - Fast AF- Very Sharp- Handles a 2xTC very well. And I can still do AF with the D800- Small and light compared to the 70-200 f2.8 VR II - Better edge performance (in my opinion) than the f2.8. I did some comparisons with a friend's f2.8 lens- Cheaper than the f.28-The new VR is the most impressive VR/IS/OS/VC I've used. And it stabilizes faster than my other Nikon lensCons:- Some distortion at the long and short end- 1 stop slower than the 70-200 f2.8 VR III . Rated 5 out of 5 by Willy from Great lens! I have been waiting for this lens a long, long time. I have had all the 80-200/70-200 Nikon zooms (all versions, f4.5/4/2.8). Now, with digital photography, I do not longer need the f2.8 aperture and the extra weight. I have been using the f4 for a couple of weeks, and I have to say that the optic quality is amazing; and size and weight are important reasons to buy this lens. I did some proof photos to check optics and I am very happy with the overall quality. As this lens do not have to make the concesions that a f2.8 do, I think that it has a better quality than bigger and more expensive lenses. Great zoom! Rated 5 out of 5 by AK Joe from Excellent lens I'm planning a long-distance hike on which I plan to take a D800E and a 24-120 F/4 VR. I have a 70-200 f/2.8 VRII which I like a lot but it is big and heavy, so I bought the 70-200 f/4.0 VR for the trip. I expected it might not be quite as good as the f/2.8 but would be good enough for the trip and I could sell it afterward. Having received the f/4.0 and tested it for a while now, I'm happy to say it is as sharp, focuses as well, VR works as well as the f/2.8. The f/4 is better about vignetting and it focuses closer than the f/2.8. The only advantages I see to the f/2.8 are the extra stop and the bomb-proof construction. I expect I'll be keeping the f/4.0 after all. Rated 5 out of 5 by John C. from Mainly a Comment About Lens Collars All of the comments about how excellent the image quality and VR operation of this lens are true so I don't need to repeat them. The point I want to make is associated with using a collar on this lens. Being that this lens is very light the balance point of the camera/lens combination is behind the lens collar mounting area, even more so with a teleconverter. My purpose here is to maybe state the obvious in that the collar can be reversed on this lens so the foot is pointing back at the camera. In my case I use a RRS lens collar and the camera and lens can be balanced even when using a 2X teleconverter. Rated 5 out of 5 by CameraBoy from Great Lens Without the Weight I had considered getting the 70-200 f/2.8 VRII while it was on rebate but after testing it one last time at B&H I realized I would just leave it at home due to its weight. The 70-200 f/4 gives me the same reach at almost half the weight. Sure you are giving up 1 stop and when shooting wide open there is some vignetting but it is and extremely sharp lens. I carried it with me for 3 days with my family in 3 different Florida amusement parks. It was never once a burden and I was happy to have it with me. A lens is only good if it spends time on your camera. This one's going to spend a lot of time on mine. Rated 5 out of 5 by GM the Photographer from Nikon 70-200 ED VR F/4 Used with Nikon D300S and D700. The lens sharpness is excellent even wide open at f/4 from center to corner. Colors and contrast are outstanding, as good as Nikon 50 1.4 g. Only issue is that the copy that I got has noisy auto-focus for an AF-S lens. I have used three other AF-S lenses (50 1.4 g, 16-15 f/4 g, and 35 1.8 g and this one is most noisy. Not good for movies. Auto-focus on both D300S and D700 is very fast and accurate. I am returning my copy to B&H for replacement. 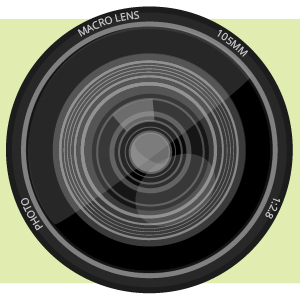 Both Zoom and focus rings are smooth and pleasure to use. The weight of the lens is perfect and doesn't feel like a f2.8 monster. Construction is strong and feels good. Despite noisy AF, I still think it is worth 4.75 stars that rounds up to 5 stars. VR performance is outstanding. I have been able to get sharp results at 1/10 Sec at 200 mm. Rated 5 out of 5 by Nikon lover from Lightweight equals more winners! Debated back and forth like everyone else between this and the 70-200 f/2.8. I shoot mainly landscapes, some portraits, wildlife stuff, and know at times I may need 2.8, but settled on this one and couldn't be any happier. This thing is TACK sharp on my D810! Was running around yesterday chasing rainbows and there's no way I would've done that with the 2.8. Also, if your a portrait shooter I've heard this one beats the pants off the 2.8 under 12 ft as it has a better close focusing distance which results in better bokeh. This range is where most pros stay within. After 12 ft.the 2.8 takes over due to less focus breathing. So census: if your a landscape and portrait shooter f/4; if your a low light sports, and wildlife shooter 2.8! That's it for now! How is this lens with a Nikon F6? Are there any features that wont work on a F6? It will work beautifully with the Nikon F6. The auto focus and the stabilization will work on the camera with no issues. Yes, this lens is compatible with the Nikon TC14E III. Will the image quality and sharpness be noticeably better on this lens over the nikon 80-200 2.8? The Nikon 70-200mm f/4 is a sharper lens than the Nikon 80-200mm f/2.8, especially toward the more telephoto end of the range. And, with VR, you can definitely get sharper images with the 70-200mm f/4 VR if you shoot hand held. Yes, it is great for landscape. Most landscape shots are looking for depth of field which does not require the 2.8 lens. Most are shot at f8 or above. Does this lens come with a tripod holder? Or is that a purchased option? No tripod collar with this one. However the lens is light enough to be hand held. will this work on Nikon D750? I shoot a D7200 with this particular lens. Mostly during the day and occasionally late in the day so the light is lowish but not really low. I have been pleased with the results. It is only a 1/2 stop less than the f2.8 lens which is pretty good in low light, but not worth the extra cost for me. I would say it's a great lens. 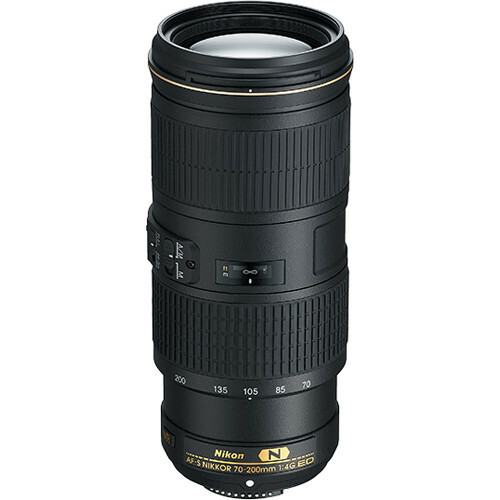 How does the image quality of the Nikon 70-200mm f4 lens compare to the 70-200 2.8? The f/4 image quality tests just a hair better than the f/2.8. For all practical purposes IQ is the same between the two. The f/2.8 gives you the extra stop of light, heavier duty, and weather sealing. The f/4 gives you less bulk, less weight, less cost. I would make the choice on these factors, not on IQ since there is virtually no difference. 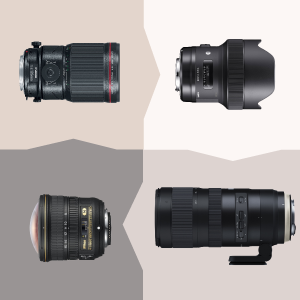 Both are exceptionally good lenses.